A gratitude practice can help you focus on the things that fuel you, and to remember that the small gifts in life are often the most precious. Lisa Ryan is one expert in this technique who recently shared some tips for this style of journaling on JournalTalk. Creating Lists of 100 can be a very fun (and informative!) method to organize and categorize your thoughts. You might surprise yourself what you learn from naming 100 items on a given topic. The Unsent Letter is one of the most powerful healing tools for situations where you feel stuck, anxious, unheard, or where there is a need for forgiveness or grieving. I have a very special JournalTalk episode planned with an example of the power of the Unsent Letter coming soon! 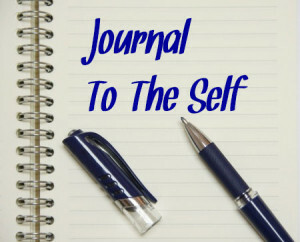 All of these techniques, and over a dozen more, will be the subject of my next journaling workshop, called Journal To The Self. We’ll be taking time to explore each technique in detail, and learn new ways of connecting with ourselves. While it is intended for beginning journal-writers, it has also provided tools for those more experienced to deepen their journaling practice. This workshop is based on the book with the same title, by Kathleen Adams. The tuition for this workshop ($120.00 US) includes the cost of a helpful workbook that is designed to complement the assignments. We meet for 90 minutes per week, by telephone conference, each Sunday starting April 6th, with the exception of Easter and Mother’s Day. This entry was posted in Journaling Tips, Motivation to Journal, Resources and tagged journal, Journal to the Self, journaling, journaling practices, journaling workshop on March 6, 2014 by Nathan Ohren.